Allegheny Chamber Players Return to Perform in Oakland, MD. on April 7. Oakland, Md.—The Allegheny Chamber Players will present a concert at Smoke N Mirrors Gallery & Studio, 114 South 3rd Street, Oakland, MD on Sunday, April 7. The concert begins at 4:00 p.m. preceded by a reception beginning at 3:30. Tickets ($20 each) are available on-line at www.smokenphoto.com and seating is limited. Tickets include hors d’oeuvres with two drink vouchers, and in the spirit of the compositions being performed, featured wines will include an American Sauvignon Blanc from Tortoise Creek – Ca and an Argentinian Malbec by Renacer Punto – Mendoza. The program includes four works for woodwind quintet, two trios, and a short piece for solo clarinet. With one exception, the composers of these works are Americans, the exception being the famed Argentinian composer of music based on the tango: Astor Piazzolla. The program will begin with the Suite for Oboe, Clarinet, and Viola (1941) by Randall Thompson, which will be followed by Gunther Schuller’s Suite for Woodwind Quintet (1958). A charming arrangement for wind quintet of Scott Joplin’s Bethena—A Concert Waltz from 1905 will conclude the first half of the concert. Four compositions make up the second half of the performance. A trio by the young American composer Edgard F. Girtain IV for flute, violin, and cello from 2014 is followed by an arrangement of Oblivion by Astor Piazzolla for wind quintet. Un Seul (1998) by Kalmen Opperman for unaccompanied clarinet precedes the concert’s concluding work: Umoja: The First Day of Kwanzaa written in 2003 by flutist/composer Valerie Coleman. The members of the Allegheny Chamber Players who will perform are Sara Beattie (cello), Catherine Dowd (horn), Matthew V. Held (bassoon), Evan Klein (oboe), Gabrielle Padilla (viola), Stephanie Pratt (violin), Alyssa Schwartz (flute), and Christopher Wilkinson (clarinet). For more information contact David Bruffy at DaveB@smokenphoto.comor Christopher Wilkinson at Chris.Wilkinson@mail.wvu.edu. 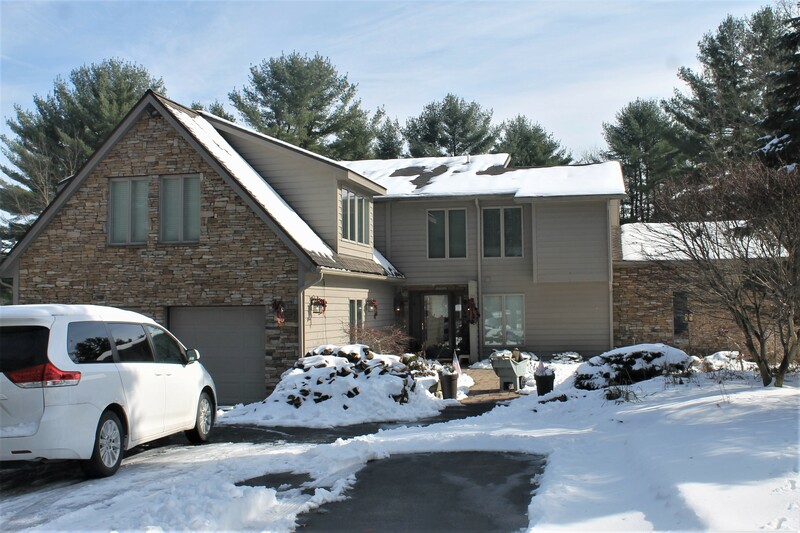 DEEP CREEK LAKE, MARYLAND – Wisp Resort announced today that General Manager Jerry Geisler will be retiring this summer after more than four decades at Maryland’s only four season resort. Geisler has been the resort’s General Manager for the past six years and has served as an executive at the resort since 1982 when he became Operations Manager. His career at the ski area commenced in 1974 as a bartender at night and a ski instructor during the day shortly after he graduated from West Virginia University, and he has become a fixture at Wisp Resort over the ensuing 45 years. “I’ve been fortunate to work with three very committed ownership groups at Wisp over the last forty-five years,” commented Geisler. “The Heise family is the hardest working family and the greatest risk takers I’ve ever had the privilege to work for. Then came DC Development, and while they faced the challenges of the Great Recession, they did a lot of good too, from building the Lodestone Golf Course to developing the north side of the mountain to securing the water we have for snowmaking and the whitewater course. Most recently it’s been Pacific Group Resorts. One of the first things they did was show their commitment to skiing and snowboarding and the growth of the sport by building the Sundown Village and the new beginner terrain which is one of the best beginner areas in the U.S. I’m quite proud of the team here and what we have accomplished, and I’m very pleased to pass along a solid foundation for the next generation to build upon." Wisp Resort, Maryland’s only all-season ski, golf and recreation resort, overlooks Deep Creek Lake from Marsh Mountain in the heart of Garrett County. With more than 65 miles of shoreline, Deep Creek Lake is Maryland’s largest freshwater lake. In winter, Wisp offers 172 acres of skiable terrain along with a Mountain Park with snow tubing and a mountain coaster plus a Nordic Center for cross country skiing and snowshoeing. Spring, summer and fall feature three canopy tour zip lines, Segway tours, archery, orienteering, chairlift rides, the mountain coaster, paddleboard and kayak rentals, downhill mountain biking, gem mining, disc golf, and the popular Escape Room Game. Groups gather in Wisp Resort’s 40,000 sq ft of function space for meetings, conferences, retreats, reunions and weddings. For more information about Wisp Resort, call 844.259.0267 or visit the website at www.wispresort.com. In an effort to say "thank you" to our local state parks and continue to share their natural beauty, Jessica Fike Photography is offering a weeklong promotion of the new JFP Canvas & Print Line. Recently launched this past January, the JFP Canvas & Print Line showcases the beauty of Garrett County through pictures and helps spread the love we have for our corner of Maryland. Canvases and prints of various sizes are available and include recent snowy and frozen scenes photographed by Jessica in Garrett County. Pictures of Swallow Falls State Park and Herrington Manor State Park, as well as countryside and roadside scenes are part of the current #TundraofMaryland collection. From Friday, March 8th to Friday, March 15th, a portion of the canvas and print sales will be donated directly to Friends of New Germany State Park and Friends of Deep Creek Lake State Park non-profit organizations. Canvases and prints can be viewed and purchased online by visiting the "about" page of the JFP website. Jessica will make an official announcement about money raised sometime after March 15th. First United Bank & Trust are proud sponsors of the 2018 Christmas Charity Tour of Homes. The proceeds from this tour will be donated to the local charity – The “I Can Swim!” Program –this organization provides free American Red Cross basic swimming and water safety instruction for all kindergarten children in Garrett County. First United Corporation operates one full-service commercial bank, First United Bank & Trust. The Bank has a network of community offices in Garrett, Allegany, Washington, and Frederick Counties in Maryland, as well as Berkeley, Harrison, Mineral, and Monongalia Counties in West Virginia. As of 09/30/17, the Corporation posted assets of $1.4 billion. First United’s website can be located at MyBank.com. “Our sincere thanks to the homeowners who have so graciously agreed to open their homes to raise money for this worthwhile charity, as well as those businesses that are ticket outlets,” remarked Julie Peterson, Director of Credit Administration & Lending Risk, First United Bank & Trust and Chairperson for the Tour of Homes. 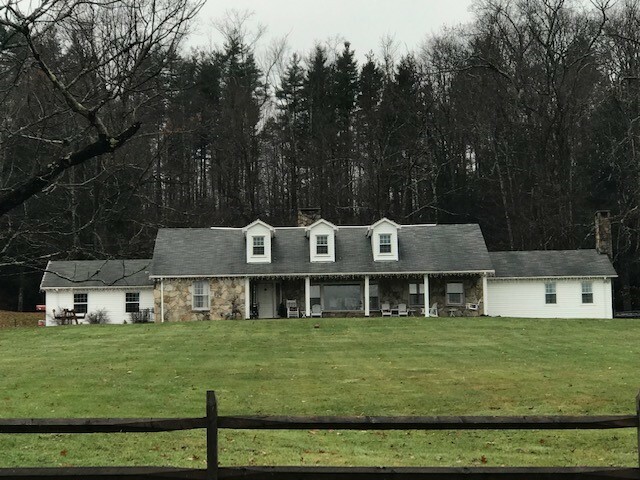 The second property for the 2018 tour is Scott and Audrey Lohr’s beautiful house located at 400 N Second Street, Oakland, MD. This gorgeous 3,715 sq. ft. cape cod style home was constructed in 1941 and has 6 bedrooms and 3.5 baths. 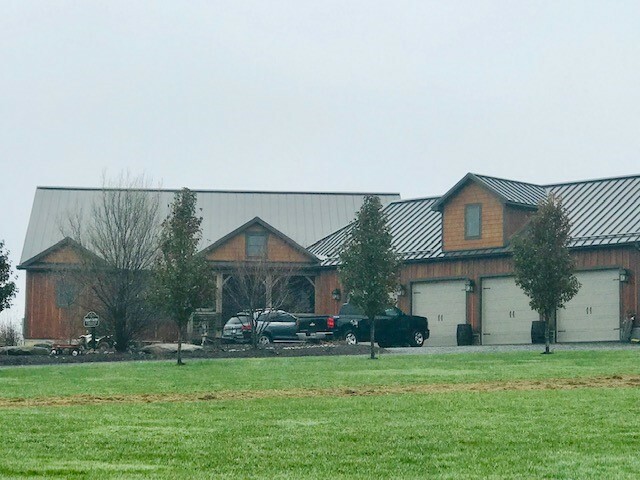 This home was previously owned by Dr. Mance whose father milled his own lumber to build this house. It features a mix of oak, cherry, cedar and wormy chestnut. 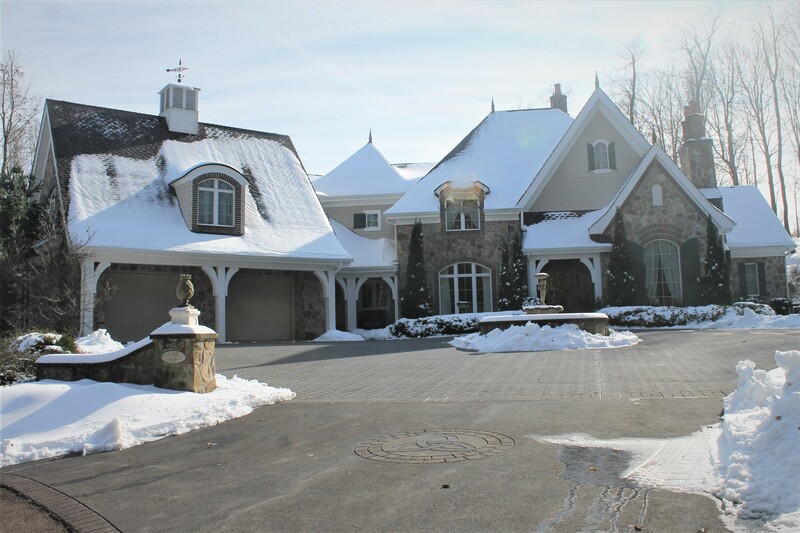 This home will be decorated in primarily a traditional Christmas style. First United Corporation operates one full-service commercial bank, First United Bank & Trust. The Bank has a network of community offices in Garrett, Allegany, Washington, and Frederick Counties in Maryland, as well as Berkeley, Harrison, Mineral, and Monongalia Counties in West Virginia. As of 09/30/18, the Corporation posted assets of $1.3 billion. First United’s website can be located at MyBank.com. OAKLAND, MD and VIENNA, VA – October 29, 2018 – Garrett County Internet Service Provider NeuBeam, a service of Declaration Networks Group, will continue its series of enrichment courses focused on bolstering computer skills in the County. The sessions are aimed at residents who may be reluctant to use a computer or need some help getting started. Each Introduction to Computers and the Internet session will last 90 minutes and six sessions are planned. Garrett County residents may choose between two different locations: Salem School (2705 Lower New Germany Rd, Frostburg, MD 21532) or Garrett County Chamber of Commerce (15 Visitors Center Dr, McHenry, MD 21541). Three sessions will be held in each location and a full schedule may be found at neubeam.com/skills. farmers, healthcare professionals, educators, business leaders and others in the community." Declaration Networks Group is an award-winning company that designs, builds and operates local broadband networks which connect residential and business customers with its NeuBeamTM highspeed internet, voice, and other services. ANNAPOLIS, MD - The Hogan administration today announced that Maryland is ranked second among all fifty states in emerging technologies and innovation by the Center for Digital Government. Additionally, Maryland’s overall grade in the Digital States Survey has improved from a B in 2016 to a B+ in 2018, reflecting an upward trend in many survey categories including streamlined operations, cost savings, and user experience. The Digital States Survey is one of the most powerful market surveys and benchmarking tools for state, city and county government leaders. The survey assesses how the nation's jurisdictions are applying technologies to better serve their constituents. Last August the President and a Vice President of the Deep Creek Lake Property Owners’ Association (POA) collaborated on an article for the North American Lake Management Society (NALMS) discussing the effectiveness of public/private partnerships for both the POA and the Deep Creek Watershed Foundation (DCWF). The POA was awarded the 2018 Lake Management Success Stories Award. This award "recognizes an individual or team with notable accomplishment of lake and reservoir management efforts that demonstrate improvements in lake/reservoir condition or watershed management in a cost-effective manner." Needless to say, the POA is very appreciative of this honor and recognition. "This is well deserved recognition for a wonderful organization that provides resources, financial and otherwise, to entities responsible for caring for Deep Creek Lake. The Property Owners Association is a great conduit of information to the property owners around the lake, as well as other interested stake holders, through their newsletters that detail decisions and programs that the County and State make for the lake. The Watershed Foundation is a fantastic partner that works with both the County, State and private enterprises and the lake to bring private money to the table to help support programs for the Deep Creek Watershed that otherwise might not happen due to lack of funds. It's a great example of how public/private partnerships are designed to work." The POA is proud to have been recognized for its efforts, and look forward to continuing to facilitate communications and programs that help protect and preserve the lake for its members and the entire watershed community. Also noteworthy, the Friends of Deep Creek Lake received an award from NALMS: The Leadership and Service Award, Volunteer. Congratulations for this recognition! Awards will be presented at the Annual NALMS Conference in November. Mountain Lake Park, Maryland – October 9, 2018 – For the past three years, DCL Mountain Maids & Home Services, a locally-owned professional cleaning company, has been partnered with Cleaning For A Reason, an international nonprofit serving women with cancer. The company is committed to making family life easier and cleaner by donating free house cleaning services to women cancer patients in the area. 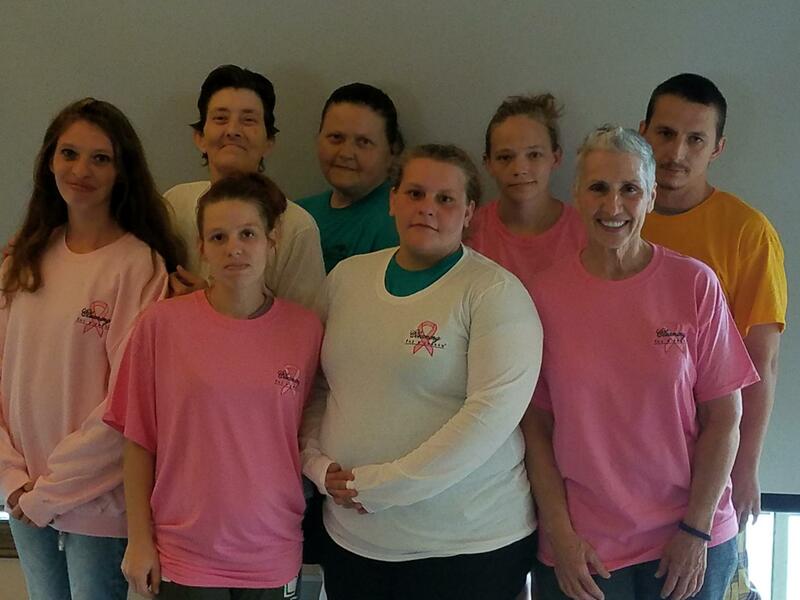 Through the partnership with Cleaning For A Reason, DCL Mountain Maids & Home Services works with area families affected by cancer by cleaning two homes per month for three consecutive months free of charge. This is an ongoing service throughout the year to local residents in Garrett County by DCL Mountain Maids well-trained staff who are committed to complete satisfaction of their clients. For more information about this maid service, go to their Facebook page.  Cleaning For A Reason is a nonprofit that partners with residential cleaners throughout the United States and Canada to offer free house cleaning to women who are battling cancer. Since its founding in 2006, the nonprofit and its partners have donated more than $10 million in free services, helping more than 30,200 women. In 2017, Cleaning For A Reason was adopted by ISSA, the worldwide cleaning industry association. It is now positioned to achieve its long-desired goal of outreach expansion. Based in Lewisville, TX, Cleaning For A Reason works with more than 1,200 professional cleaning companies and continues to grow and gain support. To learn more about Cleaning For A Reason and to apply for free house cleaning, see www.cleaningforareason.org. Deep Creek Times announced today that the inaugural 2018 People’s Choice Challenge is now complete and both the competition and reception were deemed a great success. “Mike and I couldn’t be happier about this first year of the Challenge. From a simple brainstorm session in early-July to the October 25th reception, we have been thrilled with the response of the citizens and organizations in the area. People really jumped on the bandwagon and the word-of-mouth and online buzz was incredible,” stated co-owner Sarah Myers. The Challenge culminated in a reception on September 25th, with top category (Diamond) winners, and second place (Platinum) winners receiving framed certificates as well as window decals and the top overall (across all categories) receiving a trophy. The reception, held at the Garrett County Transportation Museum in Oakland drew over 80 individuals and the spirits were high as the names were read and the awards given (see below for a list of People’s Choice winners). “We would like to thank all of the nominees, voters and the community that supported this celebration of the institutions, people and experiences that make the Deep Creek Lake area and all of Garrett County such a great place to live and visit. A special thanks goes to Bob Boal and the folks at the Transportation Museum for serving as a wonderful venue for the reception. Mike and I are thrilled and we can’t wait until next year’s challenge and event,” stated Myers. For more information about the Challenge, deepcreektimes.com, advertising programs and event posting policy, please contact Sarah Myers (sarah@deepcreektimes.com or via phone at 240.321.9925) or Mike Tumbarello ( mike@deepcreektimes.com or via phone at 410.707.7725). Deep Creek Times announced today that voting is complete for the 2018 People’s Choice Challenge. After two weeks of open nominations in 40 categories and six weeks of voting, the contest closed to new votes on September 8th. Votes in each of the categories have been tabulated, with winners to be announced at the Challenge Reception scheduled for September 25th from 4:30pm – 6:00pm at the Transportation Museum in Oakland. Winners will also be recognized at the Challenge Celebration on September 25th, with top category (Diamond) winners, and second place (Platinum) winners receiving frameable certificates as well as window decals and the top overall (across categories) receiving a trophy. The top finalists in every category will be contacted and encouraged to send a representative to the event. All winners will be announced and receive their awards and have a photo taken at the event, which will be held in the Deep Creek Lake Room on the second floor of the Transportation Museum. All nominees are invited to attend the celebration and light refreshments will be served as winners are announced.  A winners list will also be published on the deepcreektimes.com site, with those winners that advertise and that are listed on the site’s Business Directory and Guides also receiving a notation next to their names. 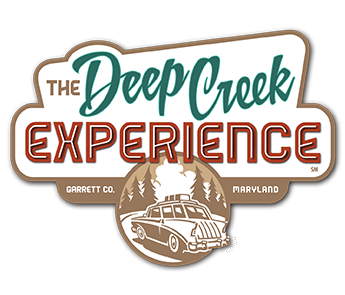 Invitees should RSVP to info@deepcreektimes.com or click “going” on the Facebook event by September 22nd, as space is limited at the Transportation Museum. OAKLAND, MD, August 27, 2018 — A first of its kind, semi-formal event, The Belle Soirée, was held May 30, 2018 at Chanteclaire Farm. At this social event of the season, Garrett County Wedding Professionals and TheDeepCreekWedding.com shared the details of Garrett County wedding industry with over 175 attendees. Since the special event and hospitality industry is dominated by women, many of whom are also local business owners, Garrett County Wedding Professionals saw an opportunity to potentially inspire future industry leaders by partnering with the young women's mentorship program GEMS. A project of Garrett County's American Association of University Women (AAUW) Garrett Branch, Girls Empowerment Middle School pairs volunteers with middle school students in weekly one-on-one sessions throughout the school year. Before the main Belle Soiree event there was an informal reception for the middle school GEMS participants and their mentors. The ladies were invited to get hair and makeup accents and talk directly with local entrepreneurs and business owners. Also, a portion of the proceeds from The Belle Soirée event ticket sales were donated to GEMS. The AAUW-Garrett Branch received a check for $500.00 presented to GEMS organizer Linda Carr by Sarah Myers of The Deep Creek Wedding. 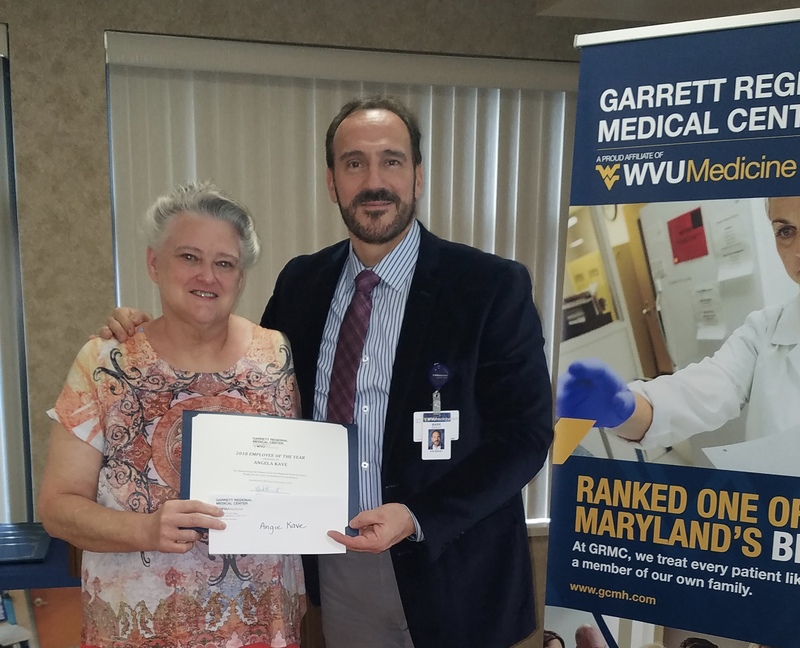 “An empowering role model is important in our world today and we are thrilled to support this initiative in Garrett County,” said GCWP committee member Marcia Warnick. “We appreciate these local female role models partnering with our organization. 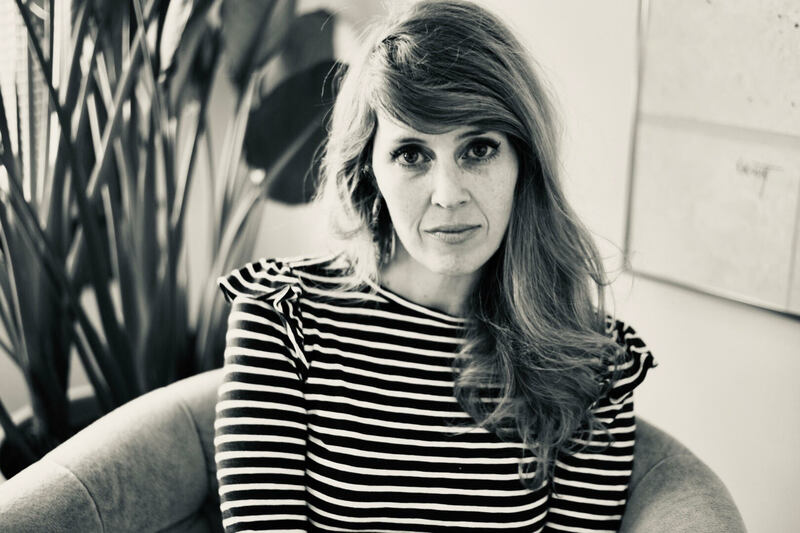 GEMS is important as a component of the AAUW organization and topics covered with mentees are self-image, their role as a young woman in our society and how to keep herself healthy, whole and safe,” said Carr. For more information about GEMS or to volunteer, contact Linda Carr at 301.746.4433 or lindacarr7125@gmail.com. OAKLAND, MD - NeuBeam Internet has collaborated with Microsoft and Connect Americans Now (CAN) on a recent video project which features several of NeuBeam’s Garrett County customers. The video illustrates the importance of high-speed broadband and how significant this is for healthcare, agriculture, and business in general in the County. You can view the video HERE. OAKLAND, MD and VIENNA, VA – August 21, 2018 – Garrett County Internet Service Provider NeuBeam, a service of Declaration Networks Group, will conduct a series of enrichment courses focused on bolstering computer skills in the County. The sessions are aimed at residents who may be reluctant to use a computer, need some help getting started, or would like to learn about topics such as social media, effective internet searches, computer security, and more. Courses will last one hour each and will be conducted at the Garrett County Community Action Conference Room at 104 E. Center Street, Oakland. "Declaration Networks is committed to closing the digital divide with our NeuBeam high speed Internet service, including offering the community with a resource to acquire the digital skills that allows them to 'connect to what matters'," said Bob Nichols, CEO Declaration Networks Group, Inc. "Providing access to affordable broadband is creating new opportunities for the residents of Garrett County by enabling innovation for families, students, farmers, healthcare professionals, educators, business leaders and others in the community."